Typically, your garage door will operate with little to no trouble for many years, but sometimes a problem will crop up that demands your attention and interferes with your garage door’s operation. This is more likely to happen if you do not carry out a regular maintenance routine. However, garage door problems do often have a simple solution and even if it is more complicated, garage door specialists such as Garage Door Rescue are on hand to help at a reasonable cost. This article will offer advice on how to respond to these common problems. Garage Door Rescue provides a top quality garage door repairs service. Do not hesitate to contact us on 01793 393503 if you need further information regarding any garage door problem. It’s inevitable that the springs used in your garage door will have to be replaced at some point. Much like the suspension system in your car, these springs will eventually wear out. There are two kinds of garage door springs: Torsion springs – these run along the top of the door frame, and Extension springs – fitted at each side of the door frame. Both kinds of springs can lose tension over time or completely fail, which will make your door much heavier to lift and won’t provide the right support for the door when it’s lifted. Replacing the springs is relatively dangerous work that should not be undertaken by someone who isn’t familiar with your garage door system. They also have to be calibrated so that they are not too loose (which would cause the door to sag or even fall) or too tight (which could cause the door to open unexpectedly). A garage door specialist can adjust, repair or replace garage door springs. Our experts at Garage Door Rescue offer a friendly and reliable service which will have your garage door working good as new in no time. Your garage door might start to feel stiff or unusually heavy. This could signal damage or interference on the tracks or rollers.The tracks direct the door precisely along the path it needs to travel. For that reason, the slightest deviation in the track can create serious problems for your door’s operation. Tracks can become clogged which will make the door tougher to open. Make sure the tracks are clean and free from any debris or obstruction. You can clean tracks easily with a cloth, but take care to avoid sharp edges while you’re cleaning. The track may become bent for a number of external reasons. For example, a person bumping into it with significant force could cause this to happen. If the track is out of alignment, the door may get stuck whilst operating. And if it’s bent far enough out of shape, the door could even jump track – which is admittedly dangerous. If your track requires realignment, the best thing to do is contact a professional. Trying to fix it on your own is difficult and potentially dangerous. Your garage door may also judder or squeak when operating it. This usually means your rollers and tracks need extra lubrication. Take the same care when adding lubrication as you would when cleaning, so as to avoid trapping your fingers or cutting them on sharp edges. Obstructions pose a threat to the operation of any garage door. From stones and pebbles to poorly stored tools and heavy objects, the mechanism of your garage door can become jammed or damaged, preventing it from opening or closing properly. To prevent this kind of problem, make sure to safely secure anything you store in the garage, especially near the door. If damage has already been done and the garage door is struggling to operate sufficiently, get in touch with the experts so they can take a look and perform the needed repairs. If your garage door has weather stripping, it is a good idea to regularly wipe down the weather stripping and look for cracks that need to be repaired. It is natural that your garage door will wear down over time. If your weatherstripping is cracked, this allows snow and ie to get underneath the door and inside your garage which could cause the door to freeze shut in the depth of the winter. All you need to do is wipe down with a cloth and contact a specialist such as Garage Door Rescue if you notice any problems. Easily the most common problem with garage doors is the automatic garage doors suddenly failing to open or close – which causes obvious problems and risks. The first thing to do is check the battery in your remote if it’s dead it will need replacing before the door will respond. If you’re satisfied that the remote is sufficiently powered, then this may suggest that there is a deeper problem, potentially with the motor, springs or tracks. In this case, it is always best to call in a professional to survey and repair the garage door properly. The team at Garage Door Rescue can quickly diagnose the problem. The second electronic component used with automatic doors is what’s known as either a ‘safety eye’ or ‘photo eye’. This is a sensor that checks to ensure nothing is located at the base of the door. If a child or a pet tries to run through a closing door at the last second, the photo-eye will trip and (in most cases) reverse the garage door back up its track. If the photo eye is out of alignment, the door may refuse to close. New product RollSafe/smart. Older automatic doors opened and closed by swinging out and either up or down. Hinges allow the door to follow the track more closely to eliminate any need to swing. Rusty or broken hinges can hinder the door’s movement and should be oiled or replaced. If you suspect your garage door is suffering from any of these problems and do not feel confident fixing it yourself, please do not hesitate to contact Garage Door Rescue. 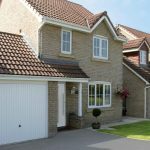 We are a local garage door repair company based in Swindon and we offer our services in Gloucester, Cheltenham, Stroud, Chippenham, Bath, Oxford, Reading, and other nearby areas. All members of our team are fully trained and qualified to give a top quality and professional service. Contact us today on 01793 393503.